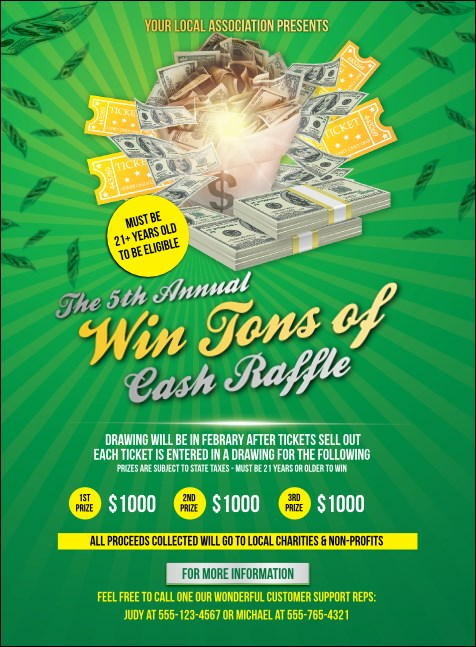 Stack up your ticket sales when you advertise in advance with personalized Cash Raffle Green Invitations for everyone on your guest list. Capitalize on your pre-event promotions with Invitations that feature stacks of cash on a brilliant green money-themed background. Add twenty-three lines of text to the template to give your guests all the important details. TicketPrinting.com helps you go green in the best way!